Method:Use keyboard arrow keys or tap tablet to control the frog to catch the flies. Avoid the birds! Answer the questions to win points fast. Scoring is based on speed and the number of correct answers. Learning English action game with a jumping frog and tasty flies.. 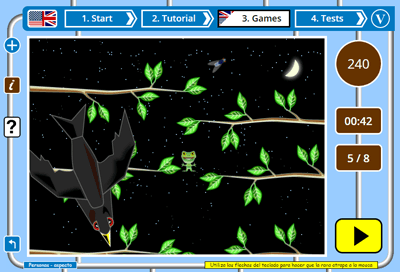 Learn for EFL ESL with our fun interactive game The frog flies! You are a happy hungry little frog in the jungle in the middle of a starry night. Catch the flies to feed yourself and practice your EFL ESL topic just for fun. You can play the game on a tablet or desktop computer. On tablet you move the frog by tapping where you want it to move to. On a computer, use the arrow keys on your keyboard to move. Sometimes a big bird swoops through the forest catching unwary amphibians so stay alert and get out of the way of its beak! Scoring is based on the level of your chosen topic: for beginner topics (8 questions) catching a fly is +10 points,correct answers are +50 points, wrong answers are -20 points and being eaten by a bird is -10 points. For intermediate topics (15 questions) catching a fly is +5 points,correct answers are +25 points, wrong answers are -10 points and being eaten by a bird is -5 points. Your final score is your total points minus your time in seconds. The highest score for each topic can be saved and seen by clicking on the star button, so get learning and maybe you'll get your own froggy name up in lights! Choose The frog flies from the English games page. On the settings page read the Method text, then click on PLAY to start the game. You are a small hungry frog sitting on a branch in a big jungle in the middle of the night. A fly is buzzing around above your head. Use your keyboard arrow keys or tap the screen on your tablet to move the frog and catch the fly. You get 10 / 5 (beginner / intermediate) points for catching the fly. When you catch a fly a question box opens with one text and 3 pictures from the topic you have chosen. Match the text to the correct picture by clicking/tapping on the correct picture, or type in 1,2 or 3 on your keyboard. If you answer correctly you score an additional 50 / 25 points - a wrong answer loses you 20 / 10 points. Continue to catch flies and answer questions. Avoid the bird that flies across the screen. Scoring is a combination of correct answers and a fast time. 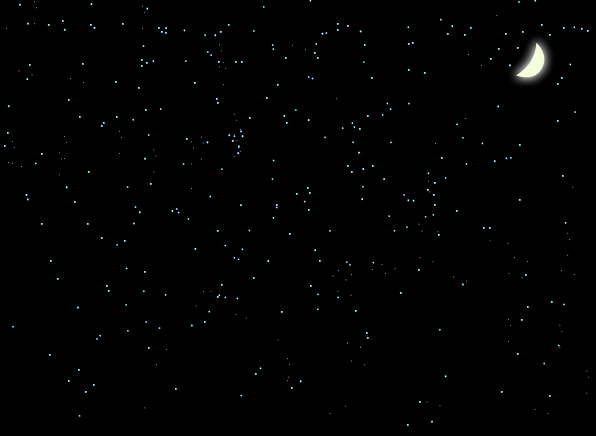 The highest score for each topic is saved with the player's name and can be seen by clicking on the star button. Sound effects for this game supplied by freesfx.co.uk.